FREE Family Fun! 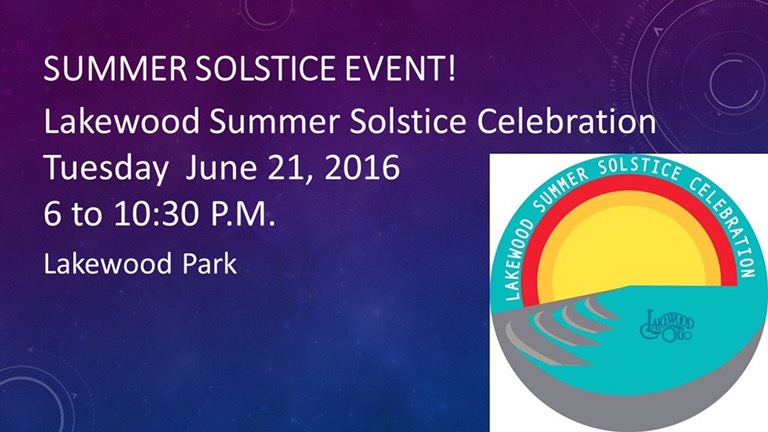 Come to Lakewood Summer Solstice Celebration, June 21 from 6:00 to 19:30 PM. CAA members are encouraged to bring telescopes to the event – solar and/or celestial. Interested members should contact Jay Reynolds via club channels for important details!